The Greek name for 'King' which shows how highly it has been regarded through the ages. 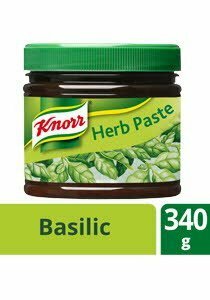 French Basil, which is used in Knorr, has the highest volatile oil content of all varieties and is the most flavourful. Keep in a cool & dry place. After opening, keep refrigerated at approximately 5°C.